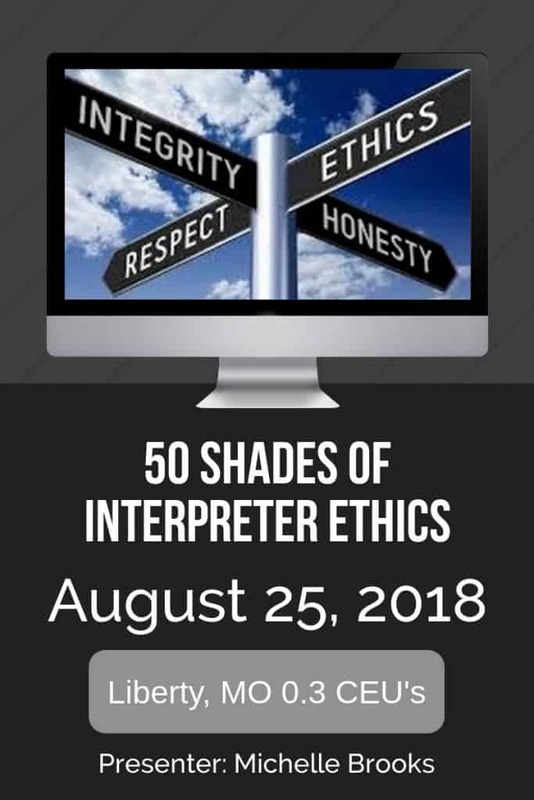 When we think of interpreter ethics, it is usually in terms of knowing right versus wrong and then doing the right thing. However, we often come across ethical dilemmas where there isn’t a black or white answer. This seminar will explore these GREY areas where there are conflicting values, multiple solutions that have validity, and significant consequences to the parties involved. The presenter in this seminar will introduce realistic ethical dilemmas. Participants will examine internal and external influences that impact their ethical decision-making process. They will work in small groups sharing perspective and compare it to those of their peers in respectful and supportive brave space. Groups will consider various ethical dilemmas and work together to create possible resolutions. Participants will be able to formulate and specify various ethical issues that arise during their work day using the tools learned. They will also be able to disseminate this information to colleagues. Participants will be able to formulate plans for difficult situations.